Read the Meeting Room Use Policy (located below) to find out if the library’s meeting room is appropriate for your group or occasion. Request a meeting room by stopping the library children’s department, calling 641-357-0315, or emailing librarykids@cltel.net, but please note you will need to receive confirmation from the library and fill out the application form before your event will be added to the meeting room calendar. 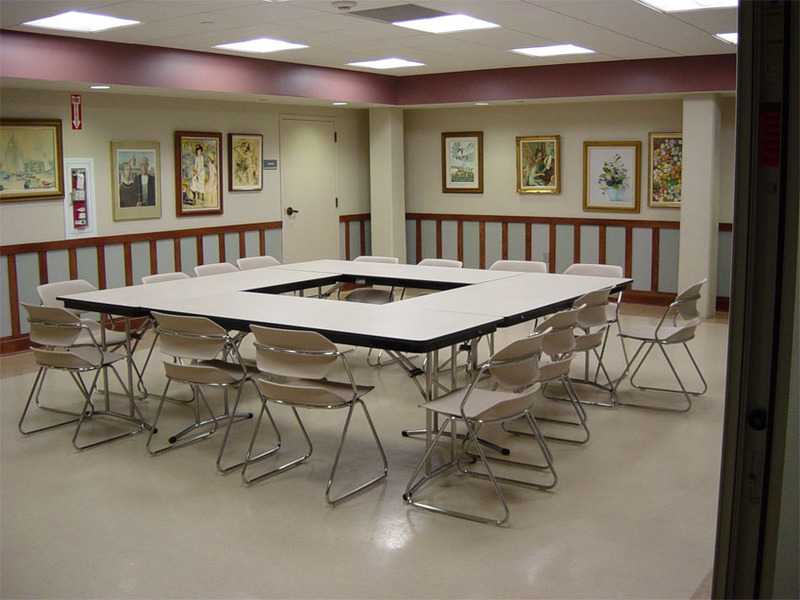 The meeting rooms of the library can be one large 40 x 30 foot room or divided into two smaller 20 x 30 foot rooms. One or both rooms may be reserved depending on what’s available on the calendar. The meeting rooms are downstairs to the left. Two doors indicate Meeting Room A or Meeting Room B. The library has ten banquet tables and 50 chairs available. There is a kitchenette without a stove or oven. Also available is a coffee maker, projection screen, and TV/DVD, and wireless Internet which need to be requested when you make your meeting room appointment. Please allow extra time for set up and take down and book the meeting room accordingly. You are responsible for moving and setting up additional tables and chairs before your event. You are also responsible for returning the meeting room to the original arrangement of tables and chairs when your event is over. Please wipe off the tables and chairs and sweep the floor. A broom and dustpan are provided in the kitchenette. Garbage needs to be collected, but not taken out.